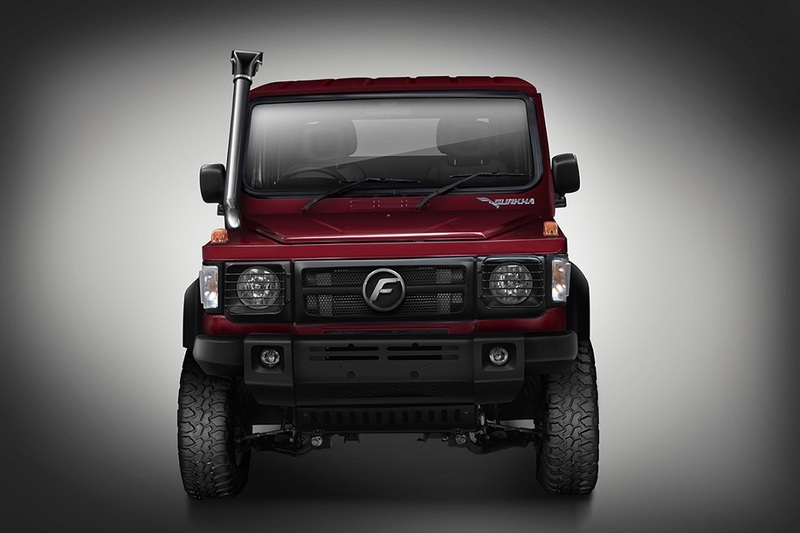 Force Motors will be launching a new powerful variant of Force Gurkha the Force Gurkha Xtreme in July 2018 , now that the specification brochure is already leaked on a Facebook group ahead of launch . 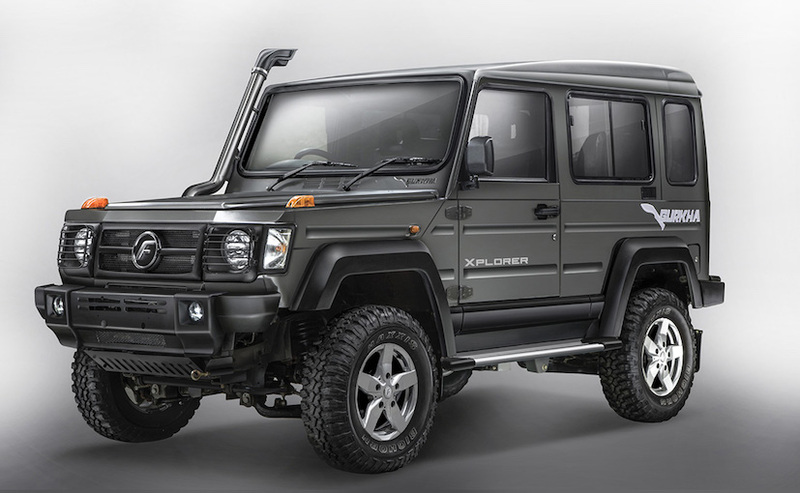 Force Gurkha Xtreme will feature a host of updates to the exterior design and mechanical components and will be the top-spec model of the Gurkha range . 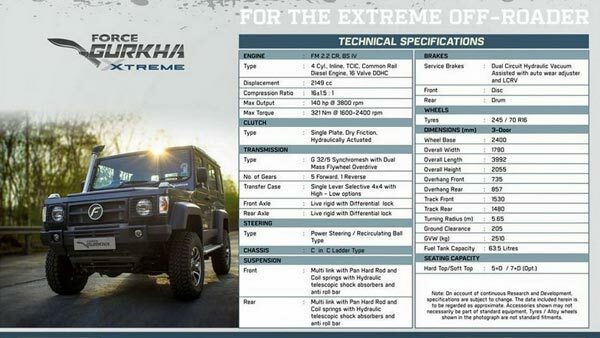 Lets compare the spec of the Force Gurkha Xtreme with that of Mahindra Thar CRDe and check which one is the better in terms of numbers . Get Force Gurkha Xtreme for Test Drive! 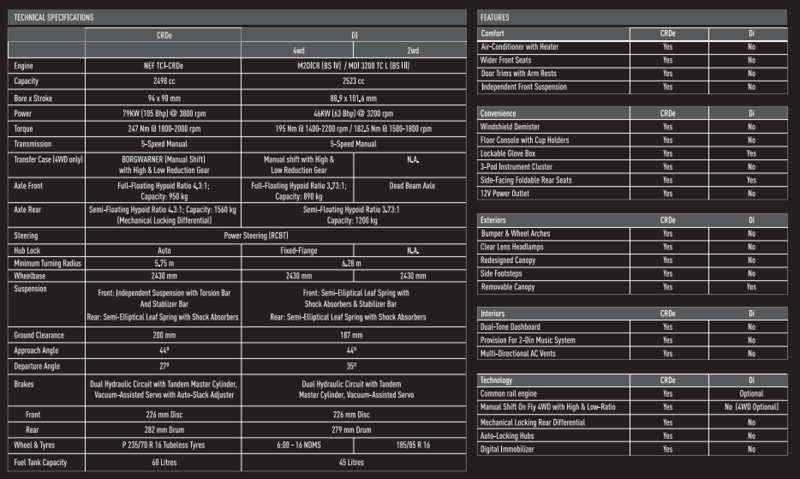 Provide your details so that we can arrange a test drive of Force Gurkha Xtreme for you at your city! Force Gurkha Xtreme is more powerful in terms of power with 140 hp and the torque delivery is spread from 1600 to 2400 rpm . Force Gurkha Xtreme comes with the advantage front & rear Mechanical differential lock where as the Thar’s automatic differential at the rear is difficult to control and takes time to respond when you actually need it . Force Gurkha Xtreme is 3992 mm in length and 1790 mm in width . 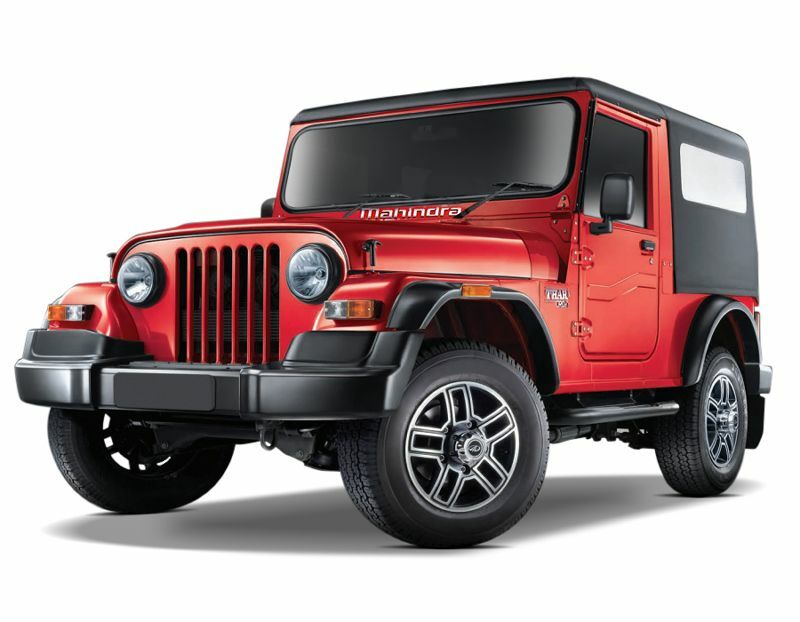 It has 2055 mm height where as the Mahindra Thar is 3920 mm long and 1729 mm wide and 1930 mm tall making it compact than the force Gurkha Xtreme . 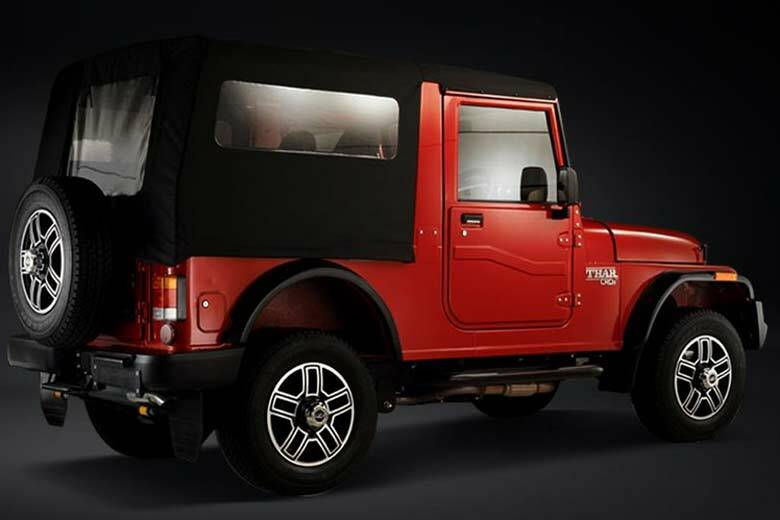 Force Gurkha Xtreme has a ground clearance of 205 mm and turning radius of 5.65 m . Mahindra Thar has a ground clearance of 200 mm and turning radius of 5.75 mm. Yamaha Aerox 155 - Will the performance scooter come to India?